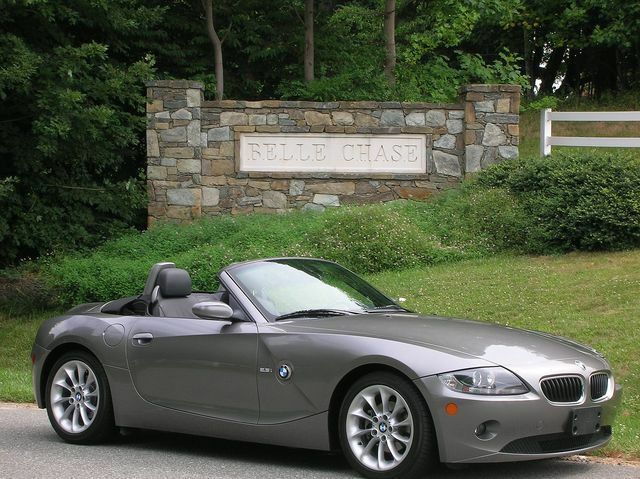 Before the big financial collapse of in the autumn of 2008, Todd and I bought a delicious slightly pre-owned BMW Z4 Roadster on eBay. It was a luxury that I still celebrate every time I get behind the wheel. Todd even has his special cashmere Irish cap that he wears at a jaunty angle when he drives with the top down. Fast-forward a couple of years and just 1-3 tiny little dings that one would never notice from 3 feet away. As far as my husband is concerned, the car has been destroyed and I should never be allowed to purchase a nice vehicle again. Never mind that the first mishap occurred when he drove into a huge pothole a couple of winters past. From my perspective, his antipathy towards this beautiful machine is something to celebrate. It has now become my car – as well it should be. It suits my personality – a sleek silver jewel. I love motoring down the highway or back roads of Virginia with my short red locks blowing in the wind, Maui Jims on my nose, a broad smile on my lips. Which brings us to the most recent development. Something caused the interior part of the grill to come loose and drag just a tiny bit on the pavement. I tried to stuff the part back into place, but….nothing doing. Todd again raved about the injudiciousness of allowing me access to such a piece of art because I treat is like……a car. Imagine that! I just explained that on occasion a 7 year old car will have sustained a couple of slings and arrows of outrageous fortune. Hence, my suggestion that we just duct tape the invisible interior grill to the undercarriage. Nobody can see it. The car will remain drivable and we won’t have to incur the incomprehensible expense of taking the car to a BMW dealership for repairs. And, we do have a very high deductible. That, in conjunction with the multiple deer hits we’ve submitted for claims and a few misfortunes with the Honda and truck and it would be prudent to avoid reporting any additional accident. It is my concern that even though I work for the insurance company that insures us, it would be imprudent to report this minor incident. So, duct tape it is. Todd reacted with the typical horrified knee jerk response, reminded me that the combination of duct tape and BMW is almost sacrilegious, and buried his head in the sand until it became convenient to have the entire vehicle operational. I’ve been assured the duct tape will secure this errant part by Monday. If it’s good enough for Homeland Security – why wouldn’t it be good enough for the Beemer?